Our January 2015 Timeshare Resale Agent featured for the month is John Raymond of Resort Reseller – Raymond Realty. I met John when we were both living in southern California, San Diego County to be specific, and working for the first timeshare resale real estate broker on the internet, Larry Hayden of Timeshare Resales Worldwide. Larry got him started in timeshare, “I met with my friend Larry and told him I had just gotten my real estate license and was gonna go sell houses. He talked me into selling timeshares instead. It was exciting, I knew nothing about timeshare, but Larry and his in-house escrow officer Kelly Robinson held my hand and taught me everything I know. I was not yet digitally inclined, but shortly learned about the internet and selling on the phone instead of face to face. We lived like kings, working great hours, 10am to 4:30pm, I had 15-20 escrows open at all times, but then September 11, 2001 hit, and the industry has never been the same”. John has certainly weathered his share of challenges in both the timeshare world, and his extensive experience as an entrepreneur. His prior work history gave him the tools he needed to stay in the business for over 14 years. Born in Vista, California John met his wife Sharen in the 9th grade (she asked him out), and they married on December 19, 1965, the year they graduated high school. While raising seven kids, John worked at various enterprises, including selling cars, “I owned a milk distributorship, but after the ladies went to work, milk started souring on the porch, so I switched to water”, he bought a carwash with family in 1969, did pastoral work, built bottled water dealerships & sold them, same with a janitorial business, and later manufactured wind generators in Oregon. 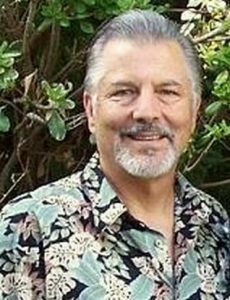 John is the founder of Resort Reseller, a division of Raymond Realty in Vista, CA. He handles timeshares all over the world, including Marriott, Hilton, and Starwood timeshares. He is a member of the California and National Boards of Realtors, and LTRBA, the Licensed Timeshare Resale Brokers Association. John has helped over 1,000 Buyers and Sellers, and he can assist you too! Krystal Drury, John’s assistant and co-agent, later joined him from the mortgage industry. When asked what sets him apart from random timeshare salesman over the internet, John’s reply is, “Timeshare Owners/Sellers will get the truth form me, although occasionally I suspect they would rather go to someone that’s lying. Education is important, most people believed the salesman who sold them their timeshare, they were starry-eyed, looking at their bride, made an “investment” so they could capture the moment for life. Now that the ownership and they themselves are often no longer working, they want to get rid of it. After talking to me, and finding out the actual resale value in this current economically depressed market, many find out it is nearly impossible to unload it for any price, and they get upset. Most sellers will believe somebody who wants to get a listing bad enough to misrepresent the price it will actually sell for, and the agent will allow the Seller to price the ownership in a way that makes that owner happy, then work backwards to educate them on what it’s worth. The fact is that timeshare listing is not going to sell, but they will go to someone who tells them a lie, or for up-front fee, really lie. It helps their ears & minds to feel better about the bad decision they made. After 2-3 years, they come back, and by this time have paid up-front companies, $300.00 to $6,000.00 or more, but are STILL owners of the timeshare. There is no need to pay an “unburdening” company thousands of dollars, if the price is right, many times a Buyer can be found with some patience, and the Seller does not have to come out of pocket a dime, many actually receive a CHECK at closing. When asked about his business philosophy, John replied, “I like to treat people the same way I like to be treated. Honesty at any price, even if not what they want to hear”. John also believes in telling Buyers the truth about timesharing. His opinion is that timesharing only works for people who are planners. Reserving ahead is a must for most if not all ownerships out there, even with exchange companies. The last minute getaways are the exception and not the rule. John always displays a genuine willingness to help anyone who calls. Regarding his travels, John mentioned that he went to Oregon recently to visit family, and to his wife’s birthplace in Winner, South Dakota, her dream destination. John says the town was known for winning the right for the railroad to go through, with 2,000 people living there now, the same as in 1955. With seven kids, grandchildren are inevitable, and the 8th is currently on the way. John’s hobbies: he loves playing with cactus and succulents outdoors, and family is first in his life. He enjoys running the timeshare business at times from home, with grandkids on his lap, and his phone strapped to his side.